Coming to a restaurant near you. 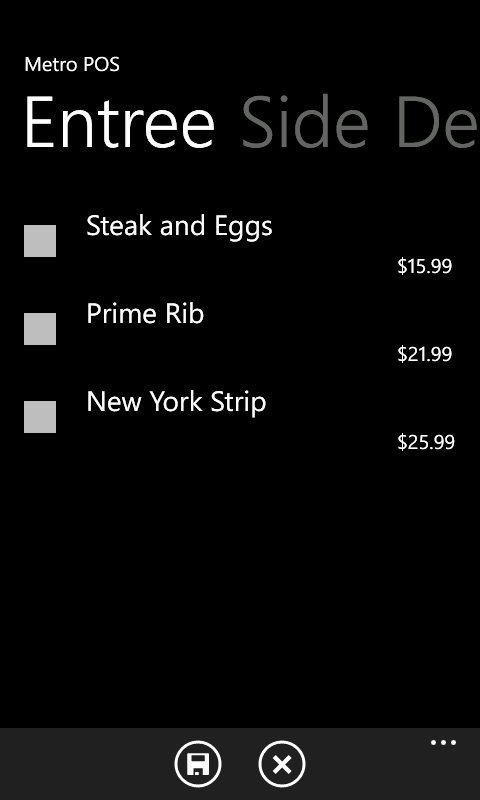 MetroPOS is a point of sale system designed to provide low cost and easy to use interface for restaurants looking for a simple solution ins tracking day to day operations. The system is built on the upcoming Windows 8 operating system produced by Microsoft while also taking advantage of Windows Azure, a cloud computing technology also offered by Microsoft. The new Windows 8 employs a Metro UI interface featuring a tile-based environment, similar to the current Windows Phone. 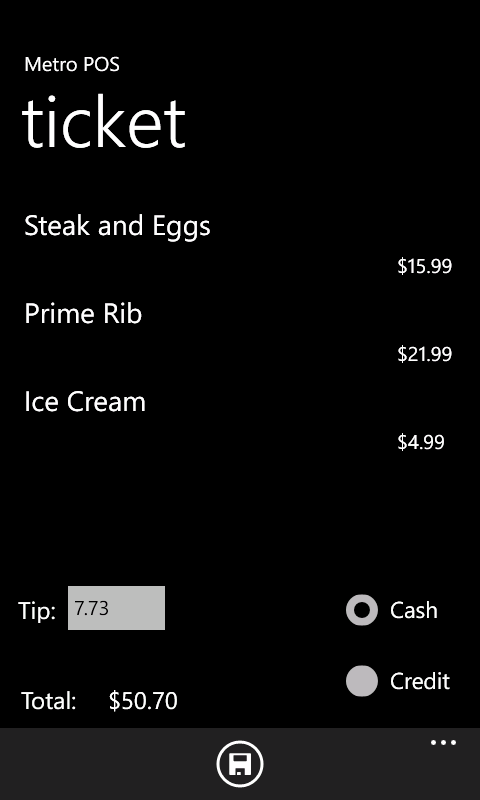 Additionally, servers will be able to take orders on smaller Windows Phone 7 devices. MetroPOS is currently in beta testing and will be available for purchase soon!